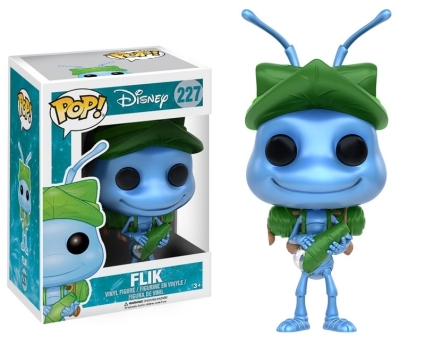 Continuing to document the best of Disney’s animated films, 2016 Funko Pop A Bug’s Life joins the Pop! family. The debut release focuses on central characters from the award-winning movie A Bug’s Life. Loosely based on Aesop's fable The Ant and the Grasshopper, A Bug's Life is the second collaboration between Disney and Pixar Animation Studios. Every season, Hopper, voiced by Kevin Spacey, and his gang of grasshoppers go to the ants' colony, forcing them to hand over rations of food. Despite the fact that the ants outnumber the grasshoppers, Princess Atta and the colony give in to Hopper not wanting any trouble. When Flik, an aspiring inventor, ruins the colony's seasonal contribution, the ants seize the moment to send him on a futile quest to find warrior bugs. On his adventure, Flik comes across a circus troupe, including the plump caterpillar Heimlich, and mistakes them for warriors. 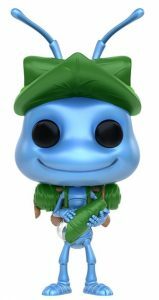 Funko Pop A Bug's Life stays true to the animated characters' optimistic and adventurous outlook on life. A blue and wide-eyed Flik is posed wearing his green leaf hat and backpack with his precious telescope in hand. 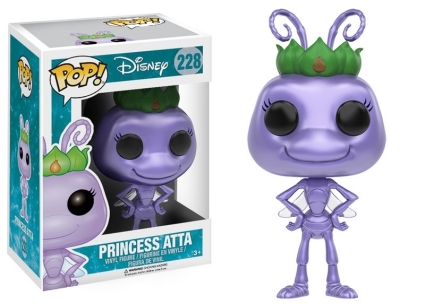 The figure for Princess Atta is unique in that Funko has not only given her wings, but they are clear and can be seen behind her bent arms. Heimlich remains his adorable and happy self with rosy cheeks and a smile. 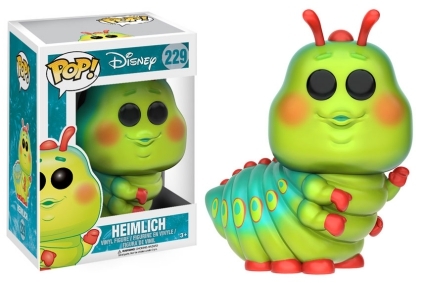 Although this is the first Pop figure for Heimlich, he was included in the previous release of Funko Heroes vs. Villains Mystery Minis along with Hopper. Numbered as part of the Pop! Disney line, 2016 Funko Pop A Bug's Life vinyl figures appear a little taller than the standard 3 3/4" size. 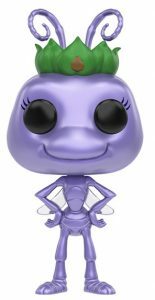 PRINCESS ATTA 228 Funko POP A Bugs Life Disney Pixar vinyl figure New Pop! Funko Pop! Flik #227 Disney The Bugs Life - Fast Free Shipping!